Attorneys at the Clarksville, Tennessee, law firm Cunningham, Mitchell & Rocconi put more than 80 years of collective experience to work for our clients in matters of business law, real estate, estate planning, family law and select other practice areas. We take pride in our law firm's legacy of providing personally attentive, top-quality legal services while upholding the highest ethical standards. Our clients benefit from the wide-ranging knowledge and skills of six lawyers, including partners who maintain AV Preeminent and BV Distinguished ratings* under Martindale-Hubbell's peer review system. We have built many long-standing relationships with Montgomery County business leaders, real estate developers, financial institutions, families and individuals. We have strengths across the spectrum of business formation services, contracts, transactions and litigation of disputes. Our law firm is the choice of prominent lenders, builders, business owners and other parties with interests in Clarksville-area commercial and residential real estate. Our individual legal services include assisting clients with all aspects of estate planning and probate, from the drafting of simple wills to creation of complex trusts and plans for business succession. Our family law attorneys handle divorce and custody matters at all levels of complexity, including military divorce. We welcome inquiries and attorney referrals across our practice areas. Our legal team is traditional in its values and deep commitment to our community, yet technologically advanced and modern in our communications and overall approach. 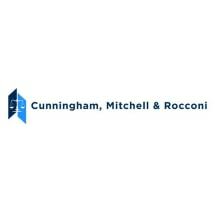 To discuss your needs directly with the Cunningham, Mitchell & Rocconi lawyer best qualified to address them, we encourage you to contact our firm. Cunningham, Mitchell, Hicks & Rocconi, P.L.L.C.